There are a bunch of harnesses sold in the market today and our list of 10 best dog collar harnesses can help you find the right one. Why choose a harness? If you have never tried using a harness before, you might be missing out on something that is beneficial for your dog. Harnesses are gaining in popularity in the market because of their advantages over dog collars. If you have a dog that keeps on pulling you while walking or a dog that just won’t stop misbehaving, a harness can be a great tool for keeping things within your control. They are ideal for hard-headed and hard-to-control dogs. Moreover, using a harness keeps your pet safe from getting tangled. 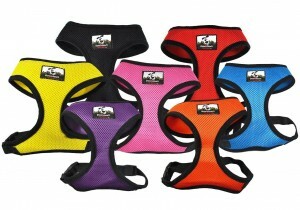 This Puppia Soft Dog Harness is available in 13 different colors. It is great for keeping your dog under your control. It is available in different sizes ranging from XS to XXL. 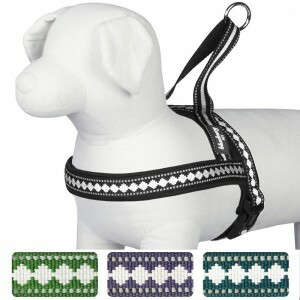 Small and big breeds can use this harness. It is made of 100% polyester with easily adjustable belt and buckle. It has a padded opening which adds comfort to your dog. This product is machine washable. Another great item in the 10 best dog collar harnesses is this product made by Kurgo. 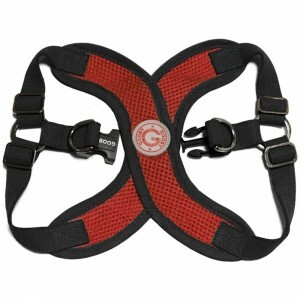 This comfortable and sturdy everyday harness features a no-pull D ring on the chest. It also has a quick-release buckle with 5 adjustment points for a customized fit. You can use this harness for your daily walk or for restraining your dog from distracting you in the car. Its biggest size can fit dogs weighing up to 110 pounds. OxGord Dog Collar Harness is available at an affordable price. It is a good buy considering is several good features. 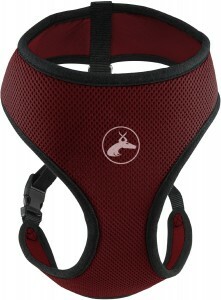 It has a padded opening in the neck which keeps your pet comfortable while wearing it. It is made from a lightweight and durable material with adjustable straps for fitting. It is tough and can help in reducing tugging and pulling of dogs. However, its neck section is not adjustable and its largest size can only accommodate dogs weighing up to 29 pounds. 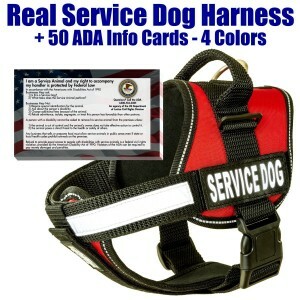 Since this is a special service dog harness, it costs more than the average price of other items in this list of 10 best dog collar harnesses. You might initially think that this harness is a bit costly, but looking at its many advanced features, you will still get more than what you pay for. This sturdy real service dog vest has a fully adjustable chest place to prevent it from slipping side-to-side. All straps can also be adjusted for perfect fit. Another good feature is its reflective front strip for added safety. With a neoprene inner lining, it reduces abrasion, giving your dog greater comfort. This Chai’s Choice front-range no-pull dog harness can give you good value for your money. It is durable, lightweight, and scratch resistant. Also, it has an ergonomic design so you will have no difficulty in putting or taking it off. The outer layer is made of oxford material and has soft sponge padding in the chest and belly area so your dog will not feel the uncomfortable wearing it. Adjustable straps allow for a custom fit. Moreover, it also features a reflective material for good visibility in the dark. 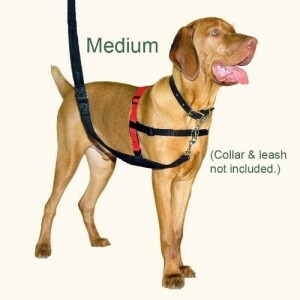 Among the 10 best dog collar harnesses, this product is perhaps one of the most affordable. This harness also comes with several great qualities including its ingenious design that discourages dogs from pulling and tagging. It is also durable and padded, with adjustable belt and quick snapping clip for easy adjustment. Unfortunately, the sizes available are only ideal for small breeds. Its XL size can fit dogs with a neck size of 16.5 inches. This product is more advanced in that it is equipped with a GoPro camera on the back and chest area. It allows you to monitor what your dog is chewing on or what it is doing without actually following it everywhere. It is soft and padded with fully adjustable straps that can fit dogs weighing 15 to 120 pounds. However, this harness is not intended for restraining or walking dogs. Its price is not also displayed. You can get another item from the 10 best dog collar harnesses. 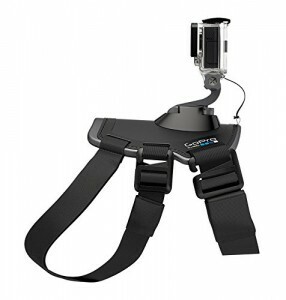 Some of its exciting features include a padded girth strap that keeps the harness in place and prevents chaffing. The harness is also designed to sit far from the armpit area for added comfort and mobility. For more security, it features a clip which you can attach to your own collar. One unique feature is that it can be attached with a double-ended leash. Stylish, durable and lightweight, these are some of the lovable features of this harness. It also contains a reflective neoprene for visibility during night time. It is soft, water resistant and sturdy. It also allows for more control for owners and greater comfort for your pet. Its only drawback is that its front strap is not adjustable. 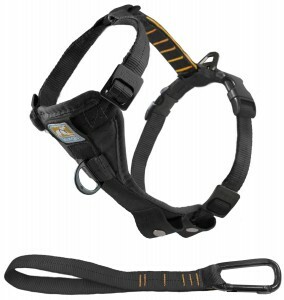 This choke-free harness boasts of many great features. One is that is has an adjustable synthetic lambskin for a custom fit. It is well-constructed, durable and lightweight to allow control and comfort. Moreover, it is ideal for dogs with tracheal collapse. It is not a question whether to use a harness or a collar. A harness may work for your dog but not on others. Moreover, there are also pros and cons of using a harness. If you have decided that a harness works best for your pet, check out our list of 10 best dog collar harnesses. It will give you an idea about the top choices in the market. It is also good to know the different designs of dog harnesses so you will know which one is more suitable for your pet.